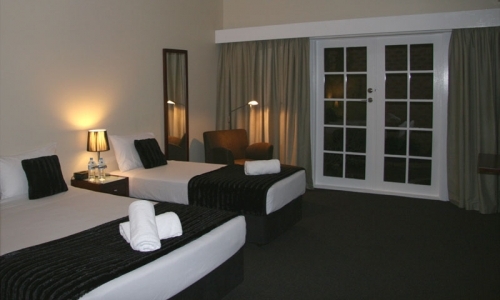 Quality Hotel Melbourne Airport is conveniently located at the roundabout on Mickleham Road, Quality Hotel Melbourne Airport is only 4 minutes from Tullamarine Airport. Our courtesy shuttle bus will pick you up from the airport and bring you to our door. 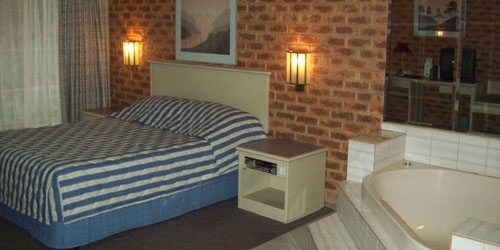 We have 68 rooms located only 4 kms from Melbourne Airport with Free Courtesy Transfers to Melb airport. We are a 3.5 star property with a la carte restaurant and cocktail lounge, outdoor swimming pool and spa. Catering and conference facilities for up to 180 people. Ask about our Parking package?PK’s restaurant is open 7 days a week for breakfast and dinner. Our lounge bar is open until 11.30p.m each evening, with bar meals available also.